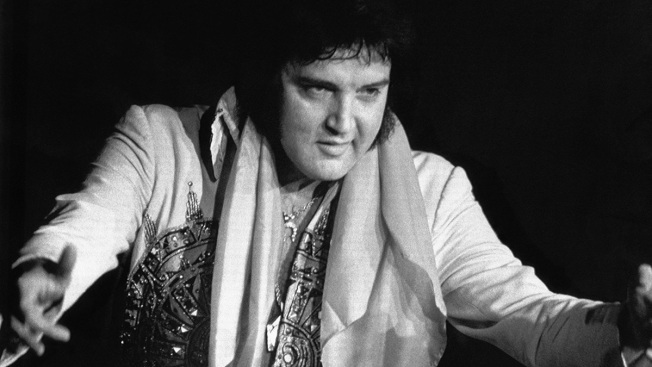 A private jet once owned by Elvis Presley has been auctioned after sitting on a runway in New Mexico for 35 years. The plane sold for $430,000 on Saturday at a California event featuring celebrity memorabilia, GWS Auctions Inc. said. The buyer was not disclosed in the sold note posted on the firm's website, and auctioneer Brigitte Kruse said she could not immediately release information about the buyer or the buyer's plans for the plane. The jet was owned by Elvis and his father, Vernon Presley, Liveauctioneers.com says. A previous owner disputed the auction house's claim the king of rock 'n' roll designed its red velvet interior. Presley was born in Tupelo on Jan. 8, 1935, and moved to Memphis with his parents at age 13. He became a leading figure in the fledgling rockabilly scene by covering songs originally performed by African-American artists like Big Mama Thornton ("Hound Dog") and Arthur Crudup ("That's All Right").